Vietnamese people prepare a wide variety of food for Tet (the Vietnamese Lunar New Year). 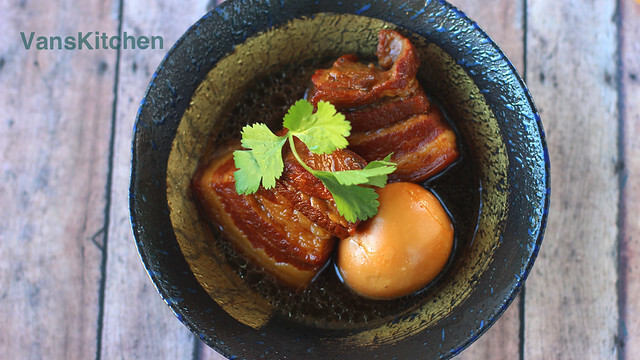 This dish, called Thịt Kho Tàu (caramelized pork and eggs braised in coconut juice), is one of the most popular traditional food served during Tet in southern Vietnam. 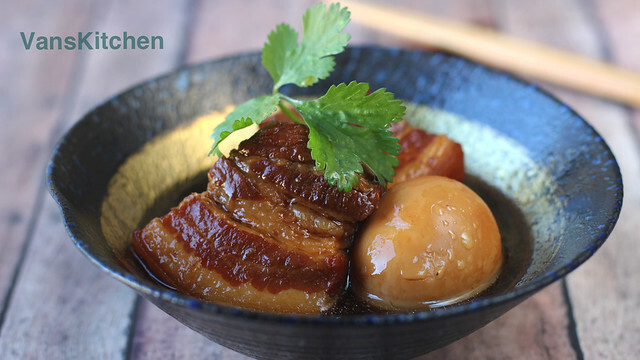 It's a slow-cooked dish with the sweet flavor of coconut juice and a beautiful caramel color. It is as comforting as it is easy to make. It's great with pickled veggies! Instructions: Watch video how to make step by step here. Add 1 tbsp of salt and ¼ cup of vinegar in a large pan of water, bring to a boil. Put the meat in. When it starts to boil again, dump the meat out in a colander and drain well. Roast the mashed shallots on a fry pan until they smell good and turn brown, then turn over and do the same on the other side. In a large sauce pan set on medium heat, dissolve ¼ cup of sugar with 2 tbsp water. Wait until the sugar starts to turn an amber color. Add meat. Make sure the meat is evenly coated with the caramel. Add salt, pepper and shallots. Pour in coconut juice. Cover, and bring to a boil. Skim off the foam. Let it boil for 30 minutes, then add fish sauce and boiled eggs. Make sure that the eggs and meat are submerged under the cooking liquid. Cover, and cook for 30 minutes -- or longer, for more tender meat. Adjust the seasonings to taste before turning off the heat. This looks so good. A friend's mother made this for me many years ago. I'd like to try to make it myself this year. Could you estimate how much coconut water you are using? It's not easy for me to obtain fresh coconuts here. Thank you for this recipe and video! 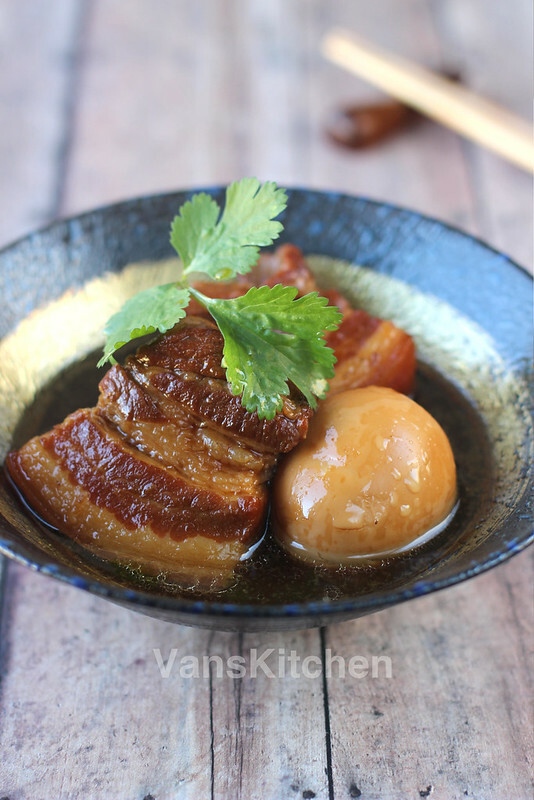 This reminds me so much of a dish I had several years ago at a nice Vietnamese restaurant in Bellevue, Washington, but they did it with pork shank instead of belly. The other flavors were all there, especially coconut. The egg is a nice touch. We've been putting a lot of eggs on things lately, all with good results.